If you get your water from a well you might have problems with too much sediment and turbidity as well high levels of iron, manganese, and sulfur. If you live in an agricultural area your water may also contain unwanted levels of pesticides and herbicides. 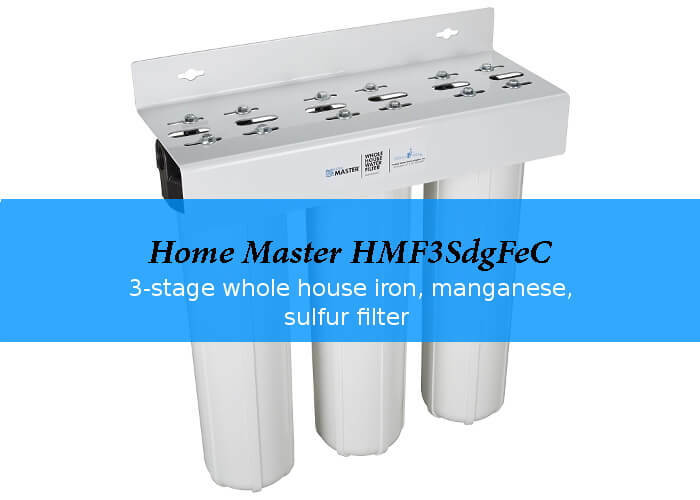 The Home Master® HMF3SdgFeC is a complete 3 stage whole house water filter system designed for exactly these contaminants. As part of the Pressure Performance Series by Perfect Water Technologies it comes with over sized filters, housings and fittings to provide high water pressure to all faucets and shower heads in your house. Especially for your showers sufficient water pressure is important to keep them working. The Home Master® HMF3SdgFeC is part of the Pressure Performance Series by Perfect Water Technologies and consists of 3 filters. The first stage is a multi gradient density sediment filter. Two separate filtration layers with decreasing micron sizes of 25 micron on the surface and 1 micron for the inner core allow a higher dirt-holding capacity than similar sized filters. Depending on the amount of sediment in your well water, this filter lasts 6 - 12 months. The second stage reduces iron, manganese and sulfur (hydrogen sulfide, H2S) to protect your pipes and water heaters from damage by these chemicals. It lowers the iron level in your water up to 3ppm. 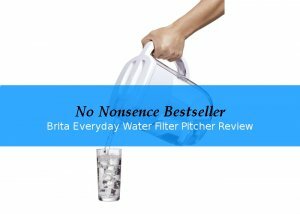 It also eliminates metallic taste and discoloration from the water. The life cycle of this filter depends highly on the levels of iron, manganese and sulfur present in the water. The last filter of this system is made from granular activated coconut shell to remove up to 95% of chlorine, chemicals, taste, and odor. The life cycle for this part is around 100,000 gallons. The Home Master® HMF3SdgFeC whole house 3 stage water filtration system consists of a fully assembled system with filters, steel mounting bracket with bolts, housing wrench and instructions. Installation is easy owner often comment on the quality of the bracket and filter housings. This system comes with a 2 year warranty. High water flow level, low pressure drop caused by filter system. List Price: $ 599.95 Click here to check current the price at Amazon.